Stuck for a last minute Valentine’s Day gift for your nearest and dearest? 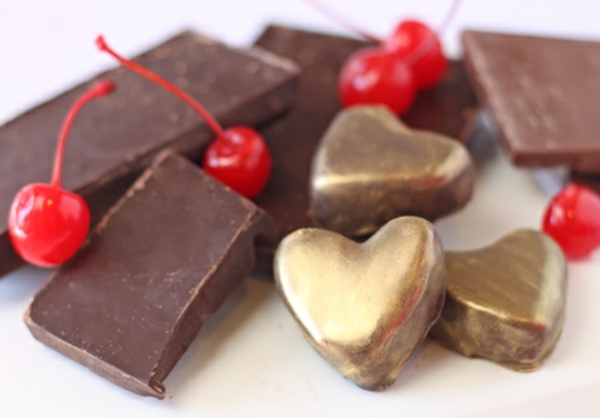 Look no further than these Cherry-Chocolate Heart Truffles! This modern twist on traditional chocolate-covered cherries incorporates dried cherries, flavorful cherry jam, and rich chocolate in a luscious tart-and-tangy truffle filling. *This recipe also works well with dried strawberries or dried raspberries instead of cherries! 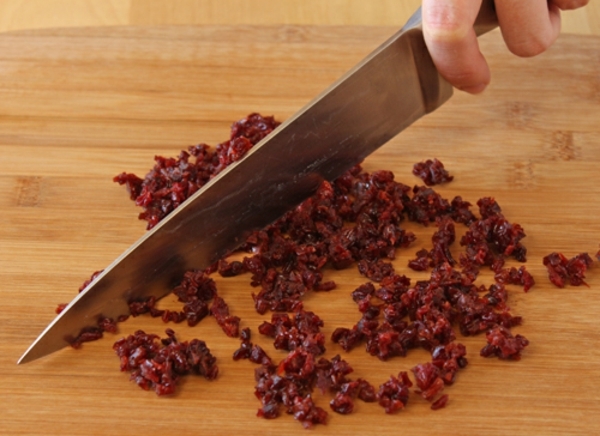 Start by chopping the dried sour cherries into small pieces. If they are too large, it will be difficult to cut clean heart shapes out of the truffle mixture, so the smaller they are, the better. 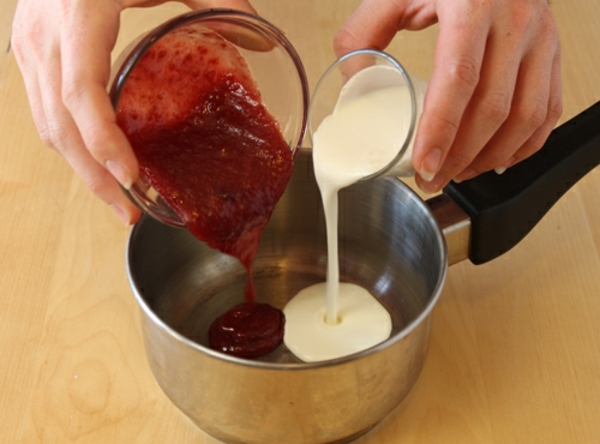 Combine the cherry jam and the heavy cream in a small saucepan. If your jam is chunky with whole cherries, blend it briefly in a blender so that it is closer to the consistency of the cream. 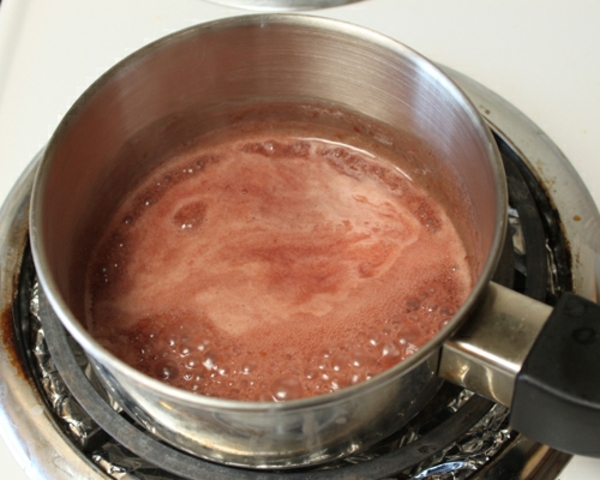 Bring the cream mixture to a boil over medium heat. Take it off the heat as soon as it starts to boil. 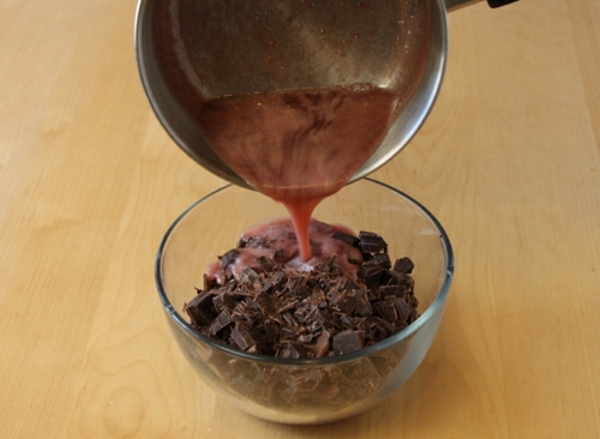 Pour the hot cream over the chopped chocolate in a heat-safe bowl, and let it sit and soften the chocolate for one minute. 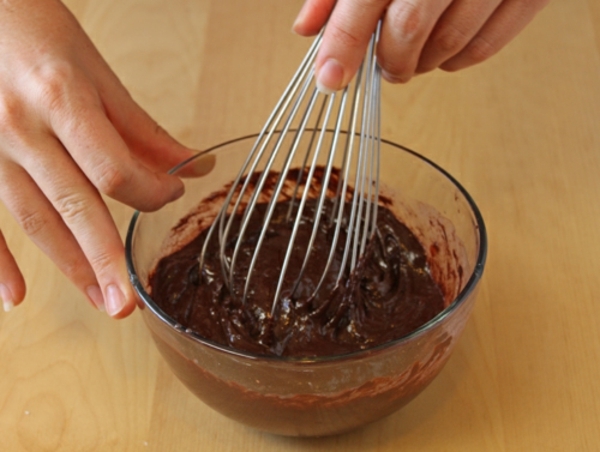 After one minute, begin gently whisking the chocolate and cream together until the chocolate melts completely. Due to the cherry jam, it will most likely look a little lumpy and not completely shiny and smooth–this is normal! 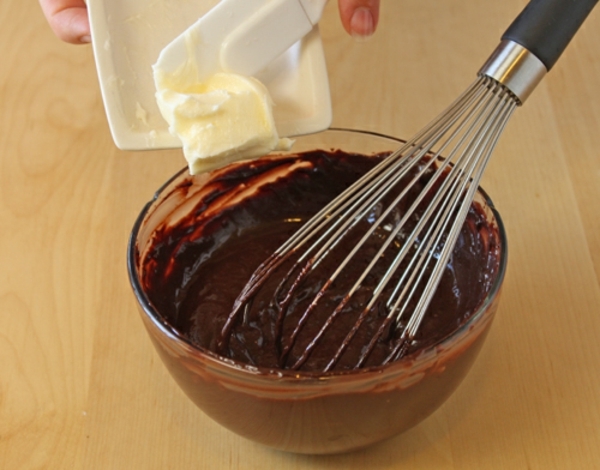 Add the room temperature butter to the chocolate, and whisk it in until it melts. Finally, add the chopped dried cherries and stir them in. If you want to make regular round truffles, at this point you can cover the bowl and refrigerate it until firm, then roll the chocolate mixture into small balls. But it is Valentine’s Day. We are in pursuit of looooove. We must form chocolate hearts! So…. Line an 8×8 pan with plastic wrap, pressing it all the way into the corners and trying to smooth out any wrinkles. 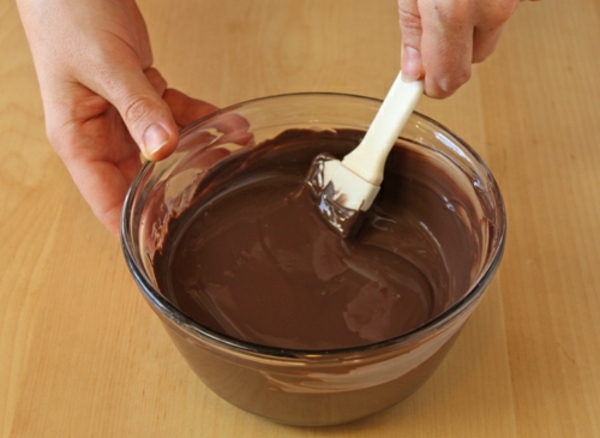 Pour the chocolate mixture into the pan and spread it into an even layer. Refrigerate the truffles until the chocolate mixture is firm, for about 2 hours. 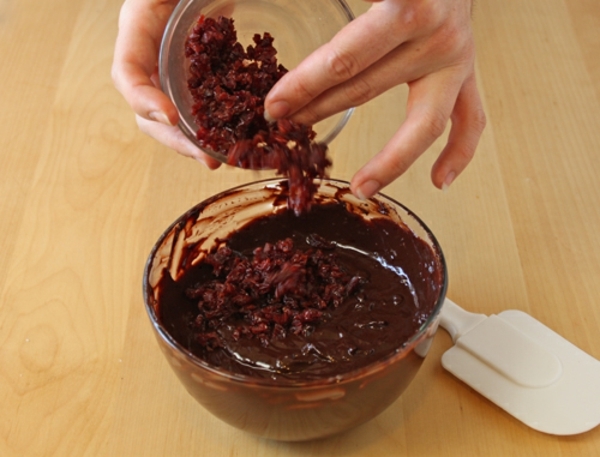 Once the truffles are firm, melt the chocolate candy coating in the microwave. 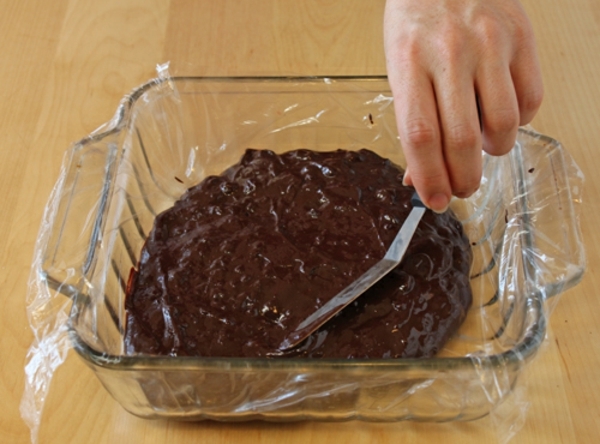 Take the truffles out of the pan using the plastic wrap as handles. 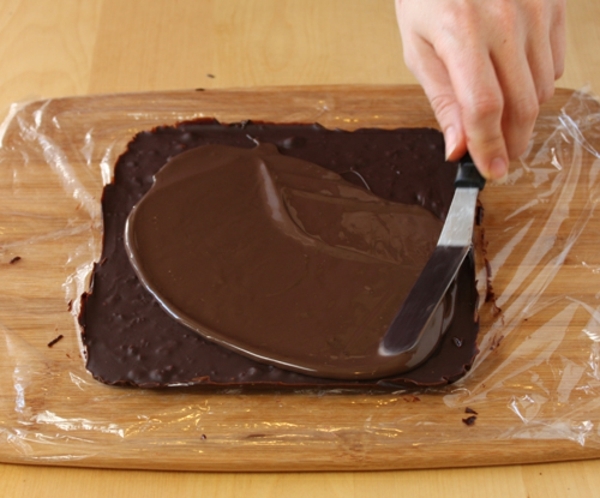 Pour a little of the melted coating on top, and smooth it into a very thin, even layer. You don’t want a thick shell of chocolate, you’re just trying to create a small ledge or “foot” that will make dipping the truffles easier. Let the chocolate set. This won’t take long, since the cold truffle will cause it to start getting firm immediately. One the chocolate is set, flip the truffle block over so the chocolate layer is on the bottom. 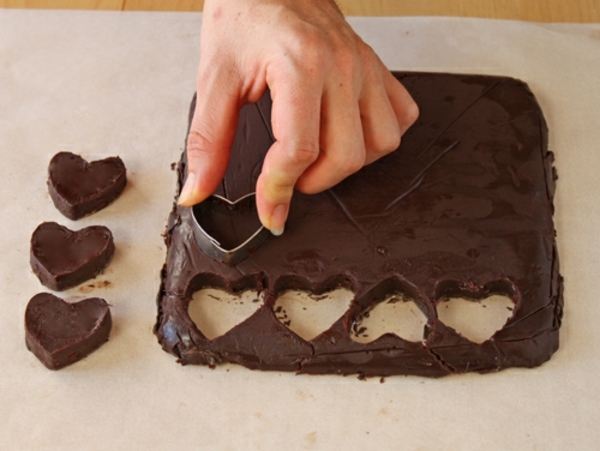 Use your heart cutter to cut out small truffle hearts. If at any point the truffle gets too soft to cut cleanly, refrigerate it until it is firm again. Depending on the size of your cutter and how crafty you are at maximizing space, you should get about 20 hearts from this recipe. You will also have scraps that you cannot use. What you do with these scraps is between you and your conscience, but my personal belief is that the cook always deserves a little reward for all of their hard work! 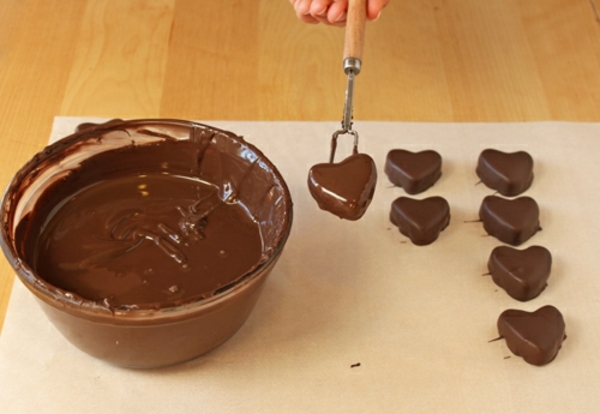 Once all of the truffles are cut out, dip them into the melted candy coating. (Warm it up again in the microwave if it has started to get too thick.) If you want to decorate them with sprinkles, chopped nuts, or dried fruit, sprinkle the toppings on while the chocolate is still wet. 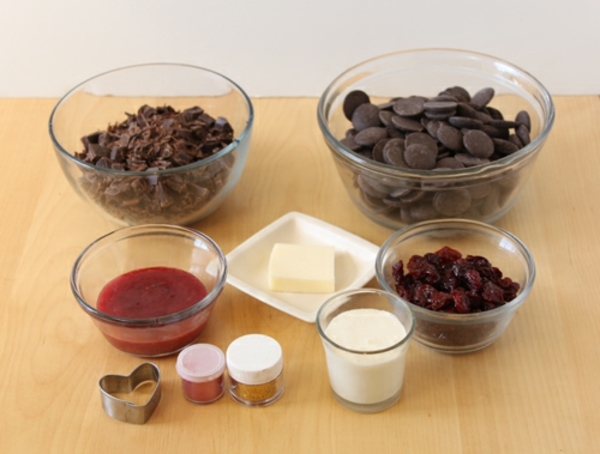 Let the chocolate-cherry heart truffles set completely at room temperature. Now for the best part: the decorations! I gave these candies vibrant metallic colors using an edible powder called luster dust. This is a common cake decorator’s tool that really makes your candies pop. It is often carried by cake decorating stores and candy supply stores, so if you have a local shop call around and see if they stock it. Michael’s craft stores carries a similar product, called pearl dust, made by Wilton. 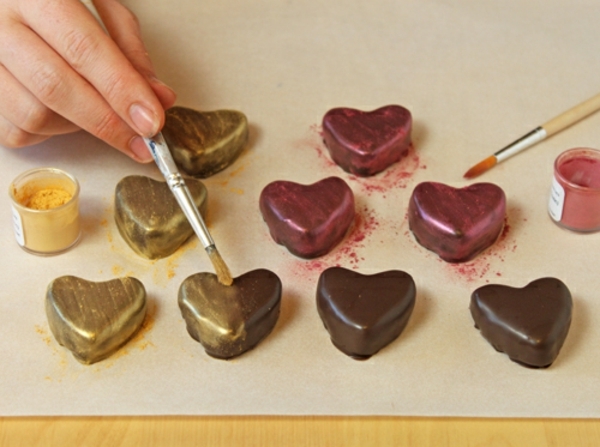 Using luster dust is as simple as brushing the dry dust onto the finished candies with a small paintbrush. Luster dust and water don’t mix, so be sure that your paintbrush is clean and dry. After they’re painted be careful when you handle them, since the dust can rub off or become scuffed. 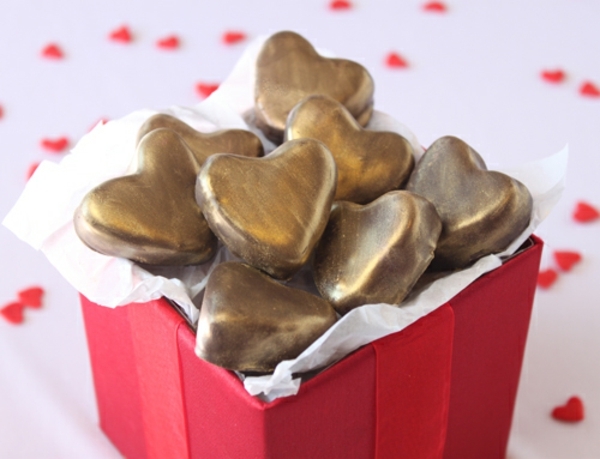 Store Cherry-Chocolate Heart Truffles in an airtight container at room temperature for up to a week, or in the refrigerator for up to two weeks. For the best taste and texture, bring them to room temperature before serving them. Give these truffles as a gift to your friends, family, loved ones, boss, mailman, probation officer, or anyone else you might want to impress this Valentine’s Day! 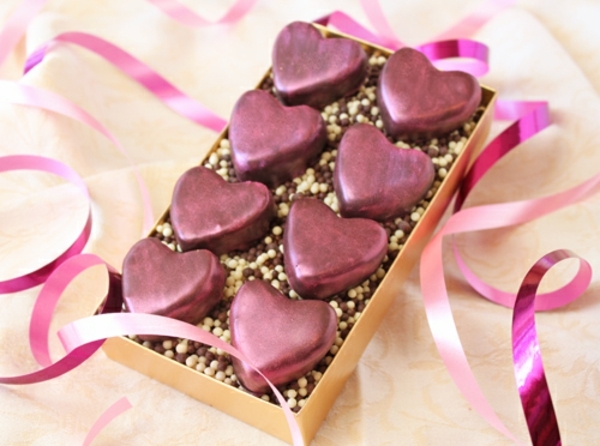 They are sure to love the cherry-chocolate truffles, and by extension, love you too.